While a lot of people add canned food to their pet’s diet, a new trend encourages people to replace that with fresh meat instead. And it does make a lot of sense if you think about it. Sure, we live in a world of convenience, so it’s always easy to opt for the highly processed, always available and affordable food. However that doesn’t necessarily mean your pet gets the best value or the best nutrition from a canned ‘meat-style’ pet food. To truly deliver a nutrient packed dinner time boost, put down the can and pick up some human grade meat, organs and bones … the results can be spectacular! How can adding fresh meat benefit your pet? The main benefit of fresh food is that it has a plethora of nutrients and compounds that your dog will love. That means your pet can easily get more energy and maintain good health in the long run. It’s never easy for a pet to have high energy levels all the time, so feeding him fresh food is an extraordinarily good idea to assist. In addition, the nutrient packed meat and organs can help maintain overall health for your dog. If you are looking for convenience, a thawed frozen product can also deliver so much of the goodies your dog needs to thrive, and without the heavy processing of canned or dried foods, which too often strips the food of many essential nutrients. Whether fresh or frozen, your dog will still enjoy a plethora of nutrients like protein, fatty acids, vitamins and minerals which remain bio-available and easily absorbed. Yes, fresh meat is expensive so if your budget doesn’t allow to adopt a full raw meat diet, adding a good quality frozen raw diet (like proudi.com) is an easy, safe and affordable step to boosting their existing food intake. 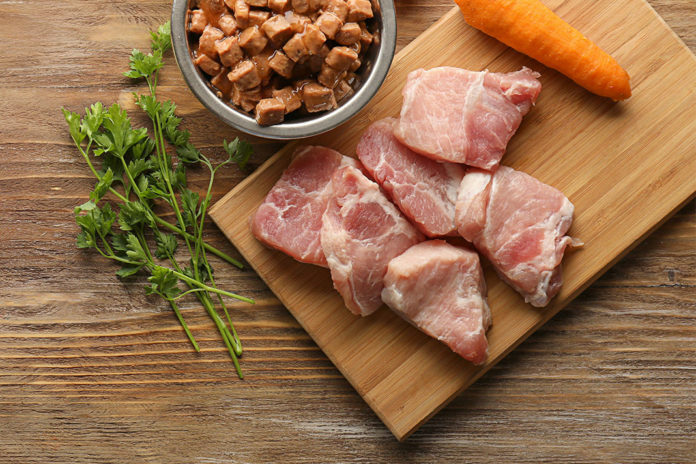 As a result of adding a fresh raw or frozen meat to a dogs diet, many people report numerous health benefits including brighter and healthier eyes, shiny coat and some even indicate a reduction in health issues such as skin irritation, obesity and stomach upsets. 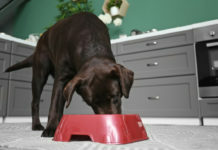 Is raw feeding a good option for your pet? Generally yes, but you do need to consider if your dog has any particular health issues. If that’s ok, then you can go onward and feed your pet with organs, bones and meat, preferably only using human grade products and of course reducing the intake of other foods to avoid overfeeding. So what about fresh veggies? Let’s face it, veggies have a lot of nutrients and benefits, but most of the time dogs want (and need) natural, fresh meat, bones and organs. A dogs digestive system isn’t the same as humans, and in fact, a dog digests vegetables poorly. It’s important to keep those veggies for kids and share those meaty bones, gizzards and cuts for the furry kids. This way you get to keep everyone happy and your dogs will be very healthy in the long run. Just try to use this approach and you will be amazed with the results!